September – The OC, but it’s not Orange County. As I stated in a previous blog, September is Gynecological Cancer Awareness Month. I have already discussed cervical cancer. Please see the blog titled September – C Squared for more info about cervical cancer. However, today, I want to talk about another cancer that effects the lives of approximately 20,000 women each year in the United States. This blog is going to focus on ovarian cancer. Ovarian cancer has been found to be the most deadly of the gynecological cancers. However, if it is caught in an early stage, treatment is effective. In fact, ovarian cancer is the fifth most deadly cancer in the United States. The symptoms that come with ovarian cancer are very common and are sometimes mistaken as another health issue. For this reason, it is important to know your body and be aware of the symptoms that come with this particular cancer. The symptoms that I am getting ready to share with you came as a shock to me because some of them sound so common to other everyday issues that we have with our bodies. Abnormal vaginal bleeding or discharge is a symptom in four out of five of the gynecological cancers. Don’t worry, we will cover the other three before the end of the month. Pelvic pain or pressure, as well as changes in bathroom habits are other symptoms of ovarian cancer. Now, there are other symptoms, but since I want you to know your own body and take care of yourself, I am going to leave it to you to do the research needed to find the other symptoms. During my research, I also found that the ways of lowering your chance of getting ovarian cancer to be interesting. One of those ways was giving birth. There are two other ways mentioned, but again, I want you to do the research so that you may be better educated about this topic. Here are two things that I will tell you though. It is imperative that you know your family history of cancer. Many times, cancer is genetics. When you and your doctor know this, they will begin screening you at earlier ages. Also, a pap smear does NOT screen for ovarian cancer. I know that many of us get them yearly (I still need to get one), but ovarian cancer is one of the things that it does not cover. Since there is no particular screening for ovarian cancer, it is important that you know your body and that you let your doctor know of any changes or discomfort that you are feeling. Cancer is nothing to play with. Unfortunately, only 15% of ovarian cancers are caught in their early stages. It is the reason why although very treatable, ovarian cancer is the most deadly of the gynecological cancers. I cannot say that enough. Ladies, please take care of yourself and your bodies. 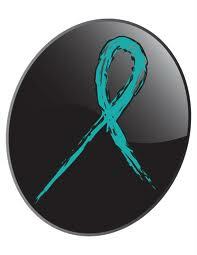 For more information concerning ovarian cancer, please visit www.cdc.gov and www.fightingcancertogether.witf.org. With us knowing our bodies and having a great relationship with our doctors, we can increase the survival rate of ovarian cancer. The path to defeating cancer starts with us. If you have a story to share about ovarian cancer, please comment and leave your story. You never know, you may be the inspiration that someone needs to go to the doctor or to start paying better attention to their body. Thank you in advance for your courage. Vyzion Internet Radio spins worldwide and national Dj mixes 24/7. So the party never stops! From the car, the office, the gym, or your home, you can listen to Vyzion radio anywhere. Vyzion Internet Radio is comprised of an international team that is delivering the best of entertainment, music, and news. We offer free IPhone and Droid Apps Contact us at 1-919-480-2141.